If you’re a no-fuss, put-on-some-lip gloss-and-go kind of girl, it's your year. From thicker, naturally groomed brows to barely-there tinted moisturizers (freckles are pretty), the effortless no-makeup makeup trend is really taking off. It seems that cosmetics have finally—and officially—joined the wellness movement. “I think the word that permeates everything right now is authenticity,” says Georgie Greville, cofounder and creative director of Milk Makeup, a vegan makeup brand that has won over the internet. “Even if you do wear makeup, it comes down to what your skin looks like and who you are.” Refreshing, right? The key to pulling off this low-key look is not necessarily abandoning makeup altogether, but using simple products to embrace and enhance what you’ve got. While dewy facial oils, lip balm and Cloud Paint make that pretty easy, mascara is a slightly stickier story. Want longer, fuller lashes that still look like your lashes? Here’s how to avoid the clump. 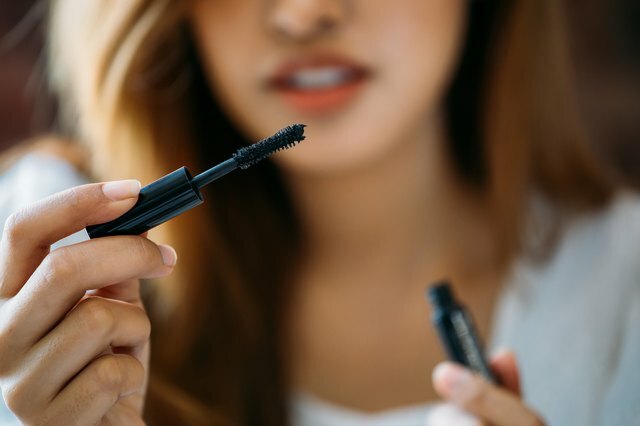 While big bold eyelashes and falsies are still everywhere, minimalist brands like Glossier, RMS Beauty, and lilah b. are bucking the system with simple mascara formulas that get the job done without all the fuss. Even Cover Girl (known for its LashBlast and Exhibitionist-level volumizers) recently launched a more modest formula with coconut, avocado and papaya oils. Also giving natural beauties what they want are Estee Lauder and Benefit. Both more mainstream brands offer silky tinted lash primers that can be worn all on their own for a subtle, feathery look—no clumps. To help narrow down your choice even further, Urban Decay's Amanda Rodriguez recommends choosing a mascara with a molded plastic wand. 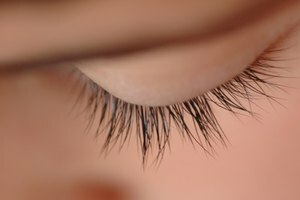 "A plastic brush will work easily through your lashes like a mini comb and give you soft, smooth lashes," she explains. While super black may be your forever go-to for a great night out, brown mascara gives you a much more subtle look for every day. 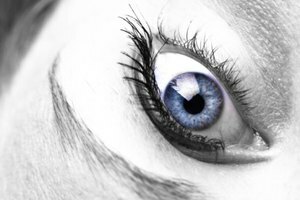 Your lashes will still be separated and defined, but not overly dramatic or spidery. It works for the office, errands—everywhere. "It made my dark brown eyes look a little brighter and my lashes more natural than intense—and actually, I much prefer that vibe," said Refinery29's Jacqueline Kilikita after giving brown a try. It's also a super natural look for those with lighter hair. Hello doe eyes. According to Cosmopolitan’s hacks for flawless eyelashes, the way you hold the brush while applying mascara makes a difference too. For a longer, more natural look, hold the brush vertically and run the tip along the length of your lashes. And stick to one coat—or two—at the absolute most. If there’s any hint of clumping, a lash comb can help tease that out. A clean toothbrush works too. How long has that tube of mascara been rolling around in your bag? Because get this: Mascara has a “best by” date and it’s only three to six months after the second you open it. Once you start letting air into the tube, the formula begins to dry out and grow bacteria. According to celebrity makeup artist Jamie Greenberg, it’s a common makeup mistake, but using old, pasty mascara can lead to clumps (not natural), and even worse, an eye infection (not the look you’re going for at all). Stylecaster offers an easy fix to help you stay on track with this one: The next time you get a new mascara, write the date on the side with a permanent marker. After a few months, move on to a fresh tube. Longer, fuller, healthy lashes are so you. Refinery29: Brown Mascara Is The Best, So Why Does No One Believe Me?